You are here: Home / Made by LANXESS / Water! The compact, cylindrical elements are one meter long and ten or 20 centimeters in diameter. 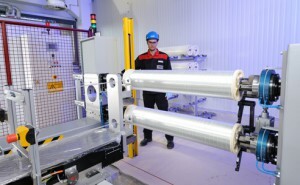 LANXESS’ Bitterfeld location supplies Lewabrane brand membrane filter elements to customers all over the world. The compact, cylindrical elements are one meter long and ten or 20 centimeters in diameter. They are unremarkable in appearance, yet they conceal within them a sophisticated and highly complex technology. They work using the principle of reverse osmosis, which makes it possible to remove even the very smallest particles — right down to individual ions and salt molecules — from water. As the water flows through the membrane, the unwanted materials remain trapped behind the selective barrier. The reverse osmosis elements consist of a three-layer composite structure that is manufactured in a number of production steps. An extremely thin polyamide film — just 0.1 micrometer thick — forms the active separating layer of the membrane, which separates the salt from the water. The complete filter consists of up to 28 membrane layers wound to form a meter-long spiral-shaped element. Quality assurance has top priority in LANXESS production processes. All Lewabrane brand products that are shipped from the Bitterfeld plant are first inspected and tested according to internationally recognized standards. Membrane filtration technology is capable of removing unwanted substances, extremely small particles, and salts from water. Not even herbicides, viruses, and bacteria can pass through the membranes. This not only makes them interesting for industrial applications, but also opens up completely new horizons for effective drinking water production. As a result, Lewabrane products will also be used for seawater desalination in the future. 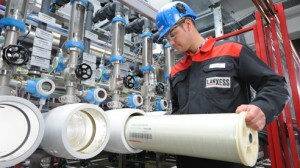 LANXESS has been active for many years in the area of water purification with various products and technologies. Among other things, it is also one of the leading suppliers of ion exchangers. The specialty chemicals company has been a full-range supplier in the area of water purification ever since it started to produce reverse osmosis membrane technology. One reason for that move was its intention to enter further profitable areas of business. The volume of the global membrane market alone is currently estimated at around one billion euros per year, and it is still growing. 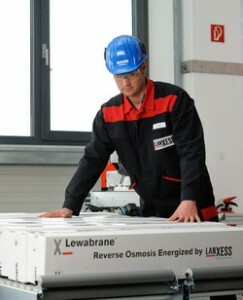 LANXESS offers reverse osmosis membrane elements. LANXESS has earned proven know how and expertise in the business of ion exchange resins. For more than 70 years, products from the Lewatit range have provided high-quality ion exchange resins, adsorbers, and functional polymers. With its entry into the field of membrane technology, the LANXESS business unit Ion Exchange Resins is now a full-range supplier for the purification of water and other liquid media. 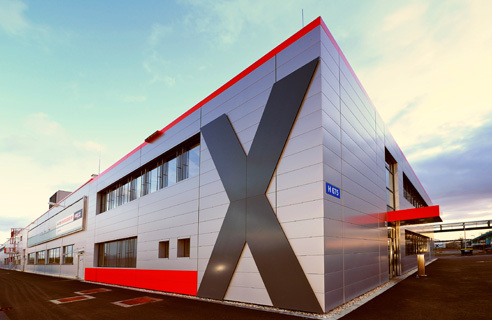 LANXESS has now renamed this business unit in order to reflect and emphasize this extension of its portfolio and to underline its new range of expertise in its external profile. As of April 2013, the name Liquid Purification Technologies stands for peak performance in the two areas of ion exchange resins and reverse osmosis membrane elements. The business unit already has a substantial base and a good infrastructure in Bitterfeld. That provides the ideal conditions for it to further improve its position in the growing global market for water purification technologies. Bitterfeld is home to the largest and most modern plant for monodisperse ion exchange technology. 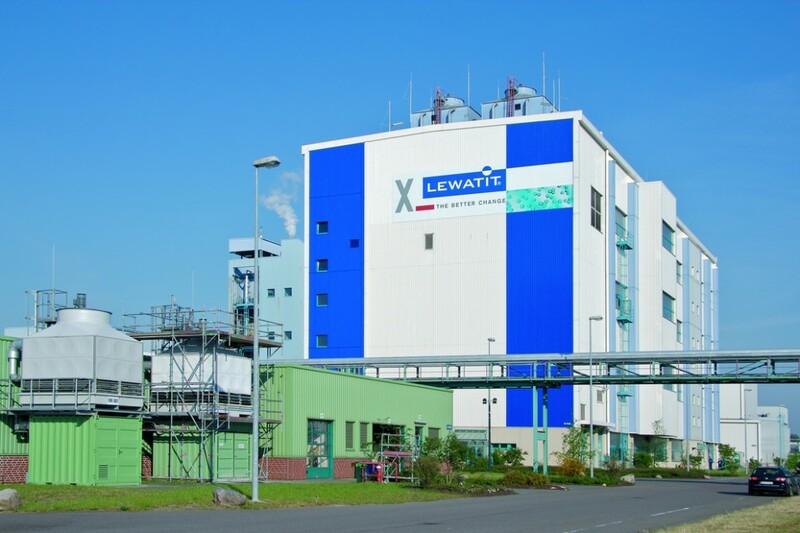 The plant produces around 30,000 metric tons of Lewatit brand ion exchange resins per year. The resin is in the form of tiny plastic spheres that are less than a millimeter in diameter. These are capable of binding specific ions — extremely small, electrically charged particles — from a solution and replacing them with other, harmless ions. In this way, they can, for example, remove minerals and organic pollutants from water. This process for the production of ultra-pure water — for the microchip and semiconductor industry, for example — has been perfected to the point where what comes out is pure H2O, just like the water in chemistry books. The tiny resin pearls also perform heroically in everyday uses, as water softeners in dishwashers and in water filters to remove carbonates and heavy metals. 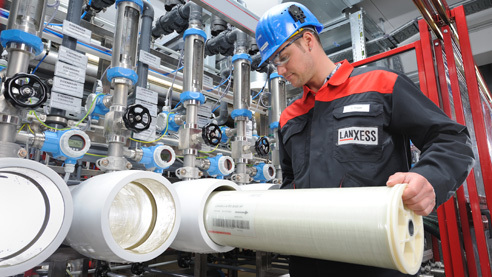 For LANXESS, corporate responsibility also means taking responsibility for the “blue gold.” LANXESS’ entry into membrane technology is already an important step into the future of water purification, and the company is continuing to think ahead. In order to provide the most effective and economical technologies for water and wastewater purification, the specialty chemicals company has already established an intensive research and development program in the region. Cooperative projects are already under way with the Leibniz Institute in Dresden, three Fraunhofer Institutes in Magdeburg and Halle, and the Martin Luther University Halle-Wittenberg. LANXESS’ consistent commitment in Bitterfeld demonstrates that the chemical industry with its products and processes is not only a major consumer of water but also a substantial contributor to ensuring access to this resource, which is vital to life. https://webmagazine.lanxess.com/wp-content/uploads/2013/04/150_bitterfeld_03-e1424433187744.jpg 708 1063 lxosc https://webmagazine.lanxess.com/wp-content/uploads/2014/05/lanxess.png lxosc2013-04-01 10:49:542016-09-30 13:39:24Water!